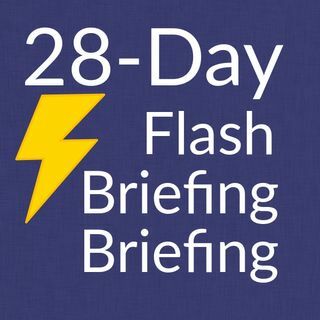 So why should you turn a Flash briefing into a podcast? It gives them another way to listen to the content you have already produced. You’ve done most of the hard work so why not get more juice from the fruit? After all there’s a huge podcast audience out there, just waiting to hear what it is that you’ve got to say. A podcast is only a longer Flash briefing, and runs the same way – off an RSS feed. Now that doesn’t mean you have to make a Flash briefing LONGER. It could actually be an ... See More advantage to be a short-form podcast that is updated daily, rather than a longer one which is only once a week or once a month as podcast tend to be.